Hyundai has launched the new 4S Fluidic Verna in India at Rs 7.73 lakh for the 1.4-litre base petrol variant and topping out at Rs 12.2 lakh for the 1.6-litre diesel automatic, ex-Delhi. 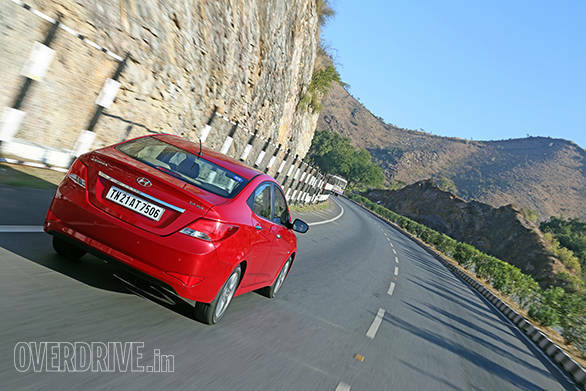 Hyundai's first launch in 2015, the 4S Fluidic Verna is a facelift and not an entirely new car. The four S', says Hyundai, stand for style, sophistication, safety and speed. Changes to the front end have dramatically altered the look of the car and help keep it relevant in the face of stiff competition from the Honda City, Volkswagen Vento and the. The review revealed the changes that Hyundai has incorporated in the new car, most of which highlight the catching up that Hyundai did in terms of the design. Apart from the revised front end, there is the redesigned tail lamp with an LED like effect and an ergo lever in the cabin to adjust the co-driver's seat to create more knee-room at the rear, a la the VW Vento. 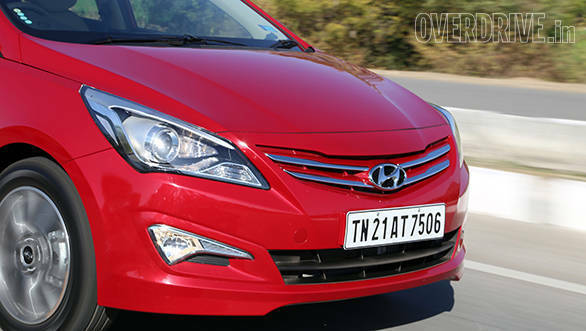 The notable addition, however, is that the new Verna will come with six airbags in the top trim. ABS and EBD are standard across the range - that's definitely a step in the right direction, considering the fact that no other car in the segment comes with as many airbags. In fact, the Maruti Ciaz does not even get ABS as standard.